Provided it’s decent, I am okay with it. This is what many homeowners say when it comes to the choice of carpet for their houses. What they don’t seem to realize is that carpets are integral components of home decor. The right choice of carpet not only gives your house a revamped look but also increases its value. As such, you wouldn’t want to make a regrettable move when opting for a flooring solution. Instead, you need something you will be proud of for now and in a couple of years to come. Achieving that might not be easy, unless you have a certain aspect in mind. Most people tend to think the services of professional interior designers are only necessary when it comes to complex home remodeling expeditions. Well, you are wrong. Choosing the ideal carpet for your rooms might seem such an easy task until you make erroneous sections. With the guide of EA Home Design experts, you can be sure of getting value for your cash. You do not need a carpet design that you will get bored with after a few years. With so many options to choose from, our experts will guide you on the suitable carpet options for you. Someone can tell so much about you by simply analyzing your carpet choices. In a similar way, you can choose to reveal so much about you through your carpet choices. That is why you need to be very careful when making carpet selections. Instead of going for the ordinary color variants, choose a carpet that passes the right message to those visiting your home. You might not be able to do this without an extensive research on carpet choices. Which options do you have? Are they within your reach? Choose to be different when making carpet choices; you will not regret it. Besides the beauty and elegance, you need other considerations when choosing carpets for home remodeling. One of those aspects you wouldn’t want to miss out is the nature of your walls. The right carpet blends well with your walls. When choosing the living room carpet for instance, you should figure out the color of the walls. 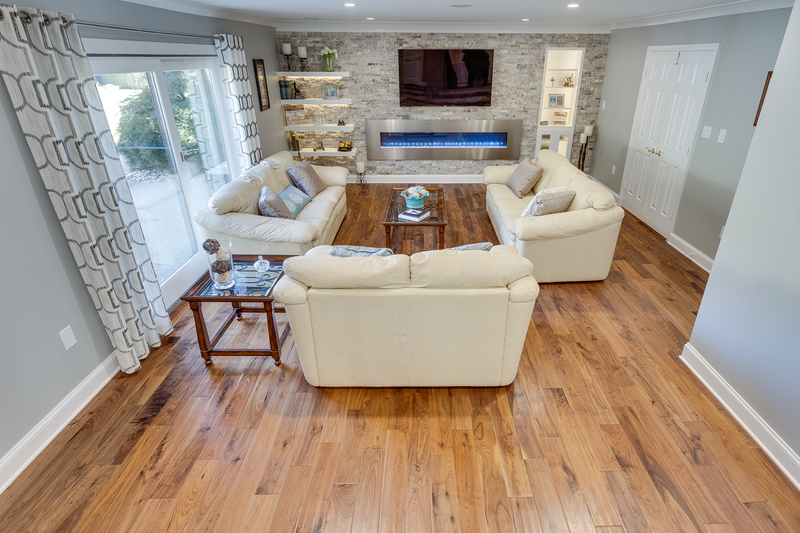 You do not want to spend fortunes on flooring solutions that do not blend well with your home. Which space is it for? Initially, one carpet design was ideal for the entire home. Over the years, so much seems to have changed. What works for your master bedroom might not necessarily be suitable for your kitchen. Making independent decisions when it comes to carpet choices should be your priority. Be fair enough to grant each room the serenity and beauty it deserves by choosing the ideal carpet for it. Getting in touch with professionals and talking it out with them makes the process effortless. In the case of EA Home Design, you have 24-hour access to highly trained and experienced professionals in the home remodeling industry. Take advantage of that! Did you know it is possible to give your home a revamped look on a tight budget? There is no need of straining every time you want to give your kitchen a deserving face lift. If you had no clue, EA Home Design won the just-concluded fall 2016 Waypoint Living Spaces Showcase Your Space remodel contest. What was the secret? We kept the design simple and trendy. For someone who is keen enough on revamping the look of her kitchen on a tight budget, you can take home multiple ideas from the award-winning design photos and inspirations. Our experts know too well how to transform the impossible aspects into wavering possibilities. Keep close and get an insight. 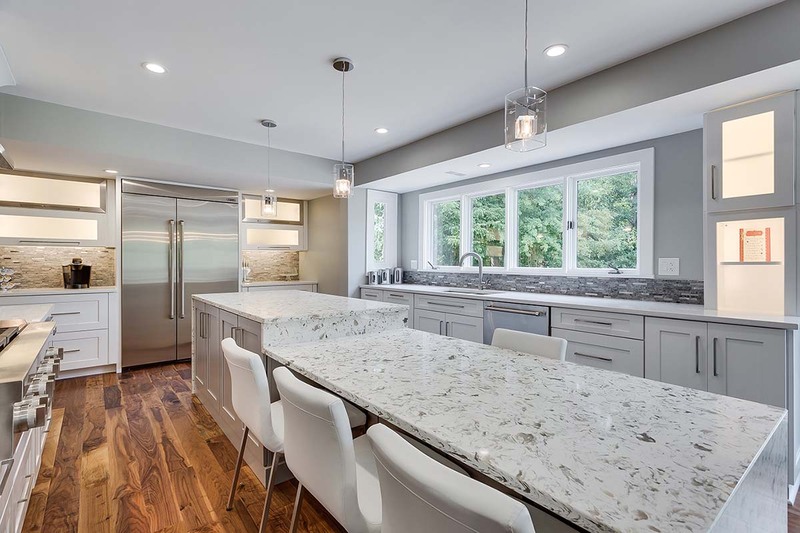 The 21st century has ushered in the ‘spacious kitchen craze.’ Everyone wants to knock down the existing kitchen walls and merge them with the nearby rooms to obtain bigger kitchens. Just a minute; who said that bigger kitchens equals better kitchens? There is so much you can do with your limited kitchen space that can make your neighbor with spacious kitchen envious. With experienced EA Home Design experts, you can be sure of transforming the limited space within your kitchen into a meal preparation paradise. 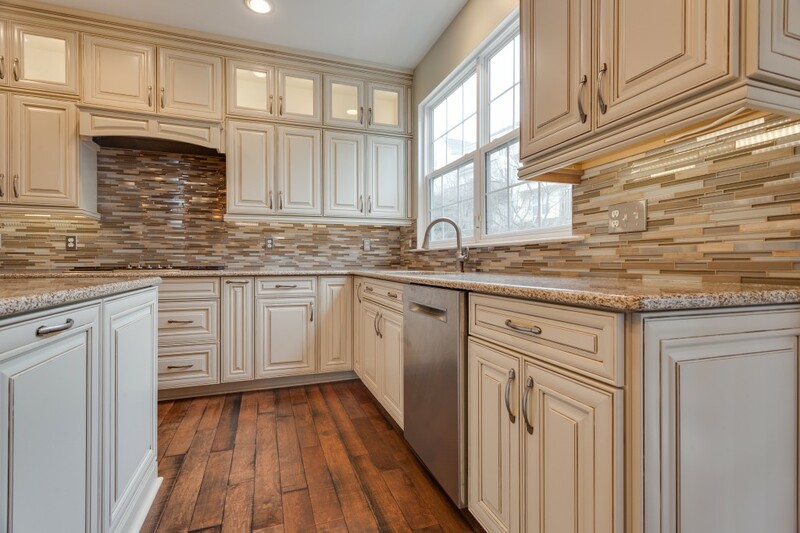 Knocking down the existing walls to expand your kitchen can escalate the remodeling budget. Even more, it is likely to involve greater plumbing and electrical work. Our experts can achieve better results in painless ways without going through all these! If we agree that the kitchen is the crown of every home, then the idea that the cabinets are the jewels is undeniable. Step into any kitchen and the first sight you will probably catch is that of the cabinet. Until recently, cabinets were just ordinary storage spaces designed into symmetrical banks along the walls. Trendier designs and greater insights have changed all that over the years. A more personalized cabinet look has replaced all that. While everyone might want to go for gold and other expensive brushed metal cabinet, a conservative budget doesn’t allow that. However, that doesn’t knock off the idea of giving your kitchen the deserving look. EA Home Design experts will confide in you that alternatives like brass and copper hardware with wrought iron pulls can still guarantee your kitchen the perfect look! Most of us grew up knowing the uniform stainless steel model. Well over the years, innovative trends have ushered in more appealing varieties. Newer models now feature durable composites that come in varying shapes, sizes, and styles. However, that doesn’t mean the stainless steel sinks aren’t popular. When working on a tight budget, you can decide to be conservative with the uniform sinks but take it a notch higher with matching high action faucets. This alternative budget friendly sinks comes with counter high dishwasher and pot scrubbing rand. The sink doesn’t have to be complicated for the kitchen to appear classy or trendy. Our winning design model in the highly coveted fall 2016 Waypoint Living Spaces Showcase Your Space remodel contest bares it all. We can achieve the same or even better with your kitchen. Just get in touch with our team today. Initially, homes revolved around shelter and safety. Provided it was decent enough and able to accommodate everyone in the family, it was good to go. Consistent revolution in the home remodeling industry has changed a lot, so much. Nowadays, homes are more revealing than they have ever been. We communicate distinct messages to our neighbors and friends through the look of our homes. Why else would people be tight on their budgets, saving so much in the process just to change the look of their homes? Everyone wants to stay in a glamorous space, but only a few people know what it takes to get there. With a couple of interior decoration inspirations, however, you might be good to go. 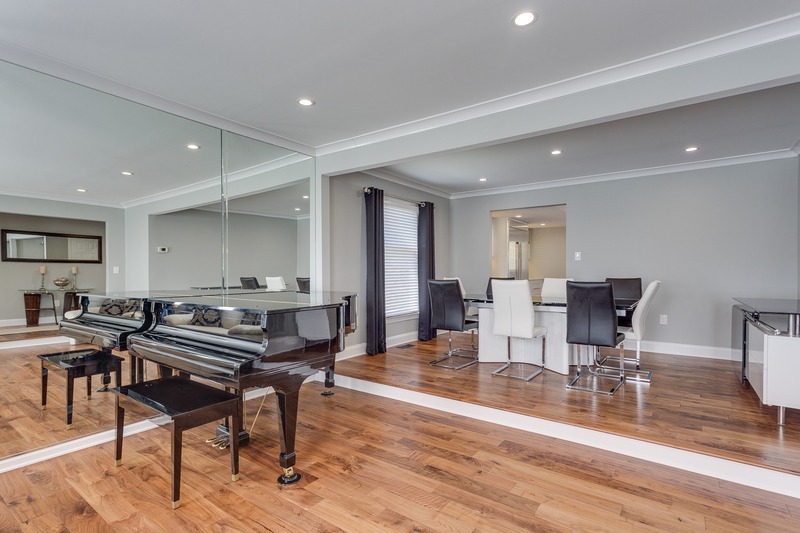 Before stepping out to give your home a new touch of feel, you must remember something; home remodeling is a continuous process. You will always feel like adding or changing something. As such, you shouldn’t be overwhelmed by several home design ideas. Instead, identify what is necessary and focus on it. As many of our experienced home designers would confess to you, it is ideal starting with basics. For instance, you need to think of acquiring the best pieces of furniture before worrying about accessories. Make your living room look glamorous and inviting before stepping forward to give your master bedroom a touch of class. While considering all these options, simply remember that not everything can be done at once. Go slow on some aspects and be systematic in your approach. Your wardrobe might not tell everything about you. Even your choice of a mobile phone might not shout it all, however, much you would like that to happen. You can find the consolation and identity revelation you have always wanted to display in your home decoration. It is an easy task bringing tiny aspects of your personality through interior decorations. Are you a reserved individual? The choice of curtains in your living room can reveal that. Do you believe that life is all about enjoying what you have and living it to the fullest? You only need to make your master bedroom a sleeping castle to shout that. At the end of the day, it is your home, and anything you do with it should be able to synchronize your personality and ideologies. Your home reveals closer details of your personality. However, that doesn’t mean you should go it alone when planning a home decor project. It is ideal involving professionals and even friends. Gather ideas from people and try to look at things from their perspectives. With the help of experienced interior decoration experts from EA Home Design, you can transform your home into what you have always wanted it to be. What do the experts think about your choice of home office shelves? You have every reason to take advantage of professional when considering home decor ideas. You will never regret it! Are you fan of pebble on the bathroom? Pebble can give you very nice massage feel under your feet. Call EA Home Design at 571-353-1885 for your bathroom remodeling projects. Let’s Design, Do it, Love it.